Here we propose a Gsm based weather sensing and reporting project. The system senses temperature, as well as light and humidity and conveys this to the user wirelessly. 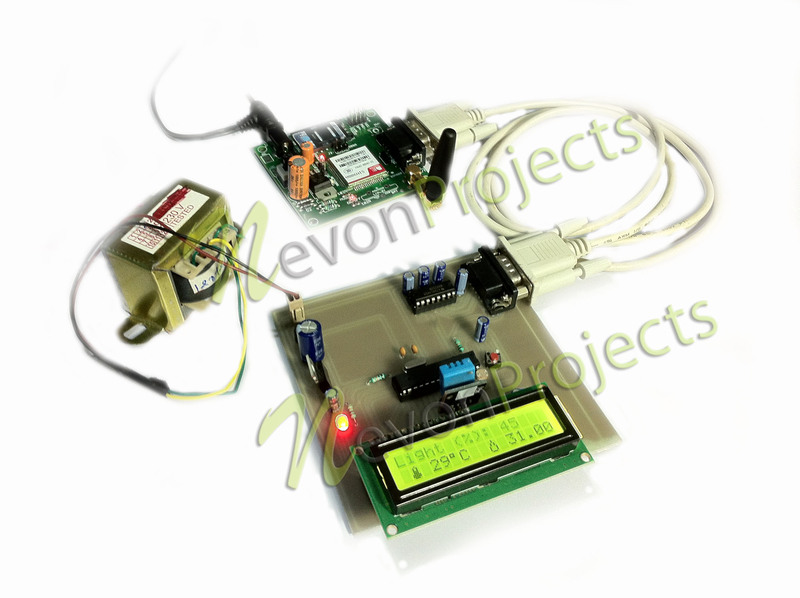 Our system uses temperature sensor to detect and record current temperature. It uses a light sensor in order to detect current lighting conditions. 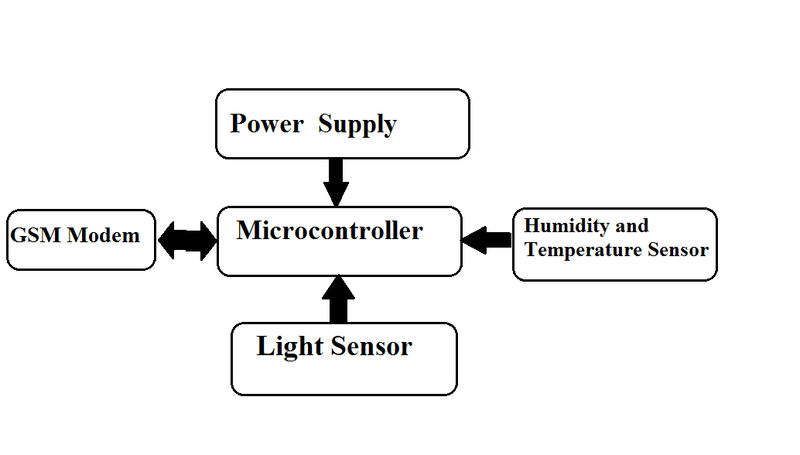 Also a humidity sensor is used to detect current humidity conditions. All this data from sensors is conveyed to the microcontroller. The microcontroller now processes this data and passes is on to a gsm modem interfaced to it. The gsm modem now encodes this data as sms message and sends this message to programmed user. Thus this puts forward a wireless gsm based weather monitoring system where the person does not need to be near the equipment to constantly monitor weather reports. The data is automatically sent to the user via a sms.